The 1,000 Missionary Movement has led over 65,000 people to Christ. 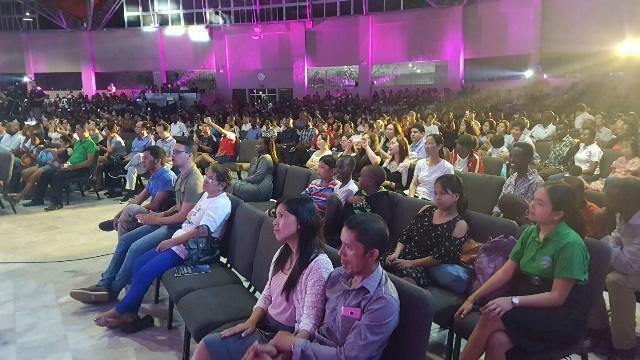 Retracing the humble beginnings of the movement’s initiatives over two decades ago, the 1,000 Missionary Movement (1000 MM) celebrated reaching 25 years of existence as it continues to carry its mission of sharing the good news of Jesus. The 1000 MM trains groups of young volunteers who then are sent to hard to reach places mostly in Asia but also in other countries around the world. On September 2, 1000 MM founder and Northern Asia-Pacific Division (NSD) President Jairyong Lee went back to the institution’s roots as he addressed the 50th batch of missionaries, during a special weekend of celebrations at the Adventist International Institute of Advanced Studies (AIIAS) in Silang, Cavite, Philippines. The present batch represents missionaries from every continent in the world, welcoming a new addition from Europe. In his message, Lee said that the movement was founded not by human effort, but by its unwavering commitment to fulfill the mission. “Like Gideon, missionaries should be committed to finishing the work with a sense of urgency that the message should be preached throughout the world, with or without the means to carry out the mission,” he said. 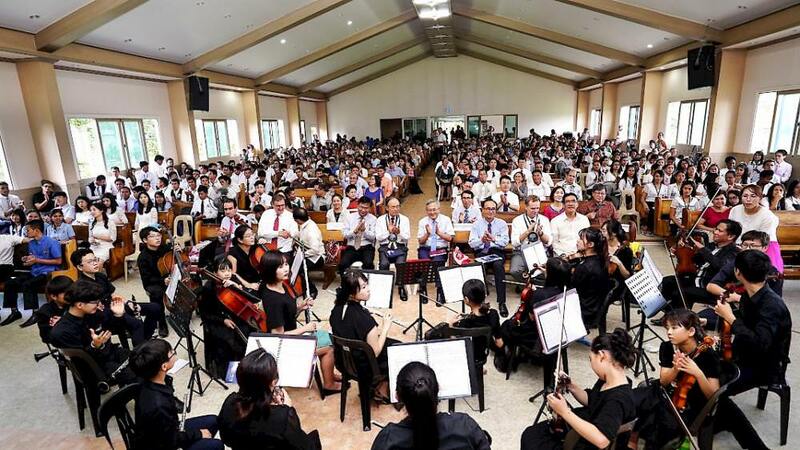 The ministry’s celebration drew several distinguished guests from the Northern Asia-Pacific Division (NSD) and Southern Asia-Pacific Division (SSD), 1000 MM pioneering batches, and members from nearby churches who were enthused by the movement’s stories in the past years. Newly appointed General Conference Youth Director Gary Blanchard was also present as a keynote speaker. In his message, he acknowledged the power of the Holy Spirit working in 1000 MM’s 25 years of service. “Over 65,000 people baptized, more than 7,000 missionaries sent to 42 countries, and over 8,000 churches planted. All of this was accomplished in 25 years,” he said. 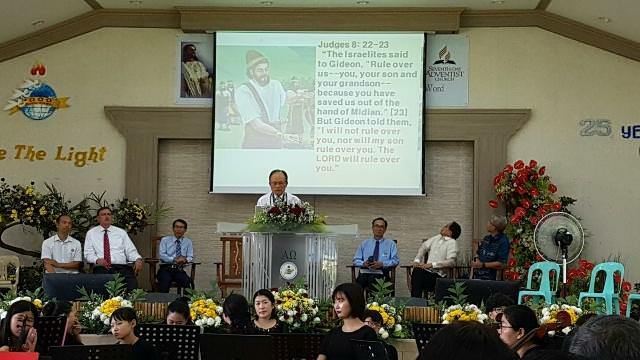 Southern Asia-Pacific Division president Saw Samuel also expressed words of encouragement and inspiration during his message on the opening night of the celebration. He invited missionaries to be like Timothy, an early church missionary referenced in the New Testament, exhibiting the passion needed in fulfilling the commission that God instructed us. Singing groups like the Golden Angels from the NSD and HISM (Here I Am Send Me) of 1000 MM showcased numerous hymns and praise songs as part of the celebration. 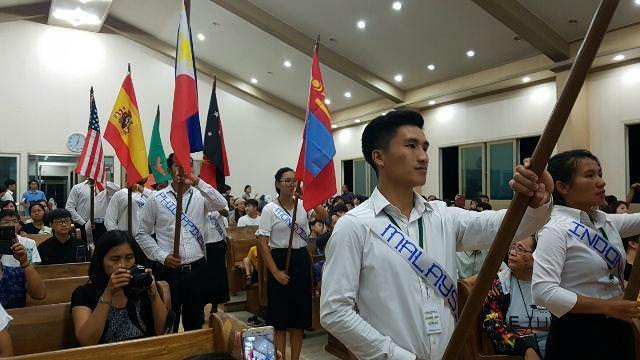 The concept of establishing a missionary placement institution became a reality in 1991 when the AIIAS board proposal to launch the initiative was approved by the Asia-Pacific Division (formerly Far Eastern Division) Annual Council in Singapore. After a successful presentation on the 1000 MM operations by then dean of AIIAS Theological Seminary Jairyong Lee, all 13 unions of the division unanimously approved the proposal. Four years after the initiative was launched, the Asia Pacific Division decided to make it a division institution. Today, the 1000 MM is under the supervision of both the Northern and Southern Asia-Pacific Divisions of the world church.